A YouTube playlist is a collection of videos that automatically play in a specific order. Any user can make multiple playlists for free, either for private enjoyment or to share with the entire YouTube community. YouTube playlists are especially helpful for listening to music, but you can create a playlist even for anything you want — even videos that aren't related to music. You can make a playlist either on YouTube.com or on the YouTube mobile app for iOS or Android. Here's how. Navigate to YouTube.com in a web browser or open the YouTube app on your mobile device. If you're not already signed into your Google account, select SIGN IN in the top right corner and enter your login details to sign in. Find a video that you want to add to your playlist and navigate to it. Don't worry, you can rearrange the order of the videos in your playlist later. Select SAVE from the options listed underneath the video. Select + Create new playlist from the list of options that appear. Public: Searchable by all users on YouTube. Unlisted: Anyone with the direct link can access and watch it. Private: Only you can access and watch it. Select CREATE when you're done. Navigate to another video that you want to add to your playlist. This time, your playlist will be listed in the dropdown box. Select the checkbox beside your playlist to add the video to it. If you're creating your playlist from the mobile app, the app might automatically save your video to your most recent playlist. If you decide to create multiple playlists in the future, you can always select CHANGE when a video is automatically added to your most recent playlist you want to manually select the playlist where it should be added. Repeat steps 8 through 10 for all other videos you want to add to your playlist. When you're ready to access your playlist, select the menu icon in the top left corner of the screen if you're on YouTube.com. Under Library, you should see the name of your new playlist. Select the playlist to go to its playlist page. If you're using the app, select your profile icon in the top right followed by My Channel. You should see a section labeled Created playlists beneath your channel name. Select the playlist. Select PLAY ALL on YouTube.com or the red play button on the app to play all the videos in the playlist. Your playlist never has to ultimately be finished. Any time you stumble across a new video while on YouTube, you can instantly add it to your playlist. If you want to edit your playlist, go back to the playlist page and select EDIT on YouTube.com or the pencil icon on the app. Description: Write a brief description to let viewers know what your playlist is all about. Playlist settings: Change the playlist to Public, Unlisted or Private. You can also change the automatic ordering as you add new videos. Remove: On YouTube.com, select the X to the right of any video to delete it from your playlist. On the app, select the three vertical dots to the right of any video followed by Remove from playlist name. Drag-and-drop to reorder: On YouTube.com, hover your cursor over the far left edge of the video to click and hold down the three vertical dots that appear. Then you can drag it anywhere within your playlist to reorder it. Do this with your finger on the app. Editing options for playlists differ slightly between YouTube.com and the YouTube app. However, the main options listed above can be done from both platforms. If you'd like to delete your playlist on YouTube.com, select the three vertical dots in the top right of the playlist page and select Delete playlist > Yes, delete it. If you'd like to delete your playlist on the app, select the trash icon > OK.
YouTube has not specified any limits on the number of playlists that can be created or the number of videos that can be included in a single playlist, however some users have reportedly been blocked from creating playlists if they try to create too many in a very short period of time. Being able to make your own playlists is great, but it's also nice to see what's already out there so you don't have to do all the creating yourself. 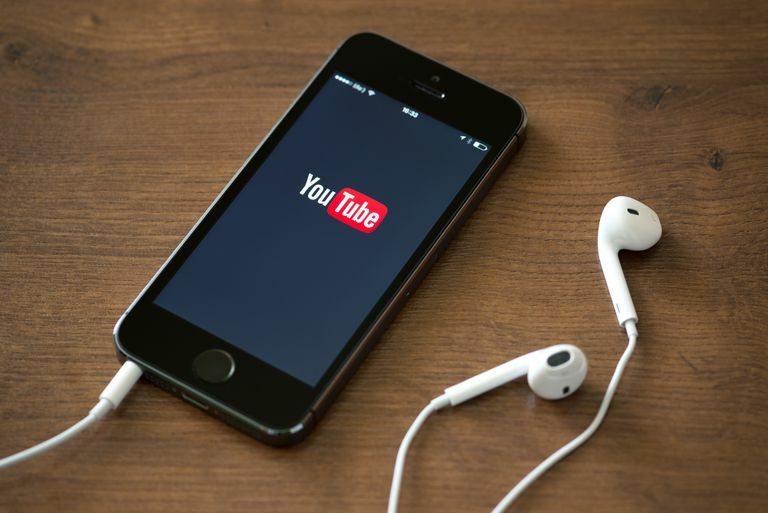 Here are three easy ways to find great public playlists that other users have created for the YouTube community. When you do a search on YouTube, you can specifically search for playlists only. Type your search into the search field on YouTube and hit Search (or the magnifying glass icon) to see your results. Select Playlist under TYPE to filter out all other results except playlists. Select any playlist to play it. Users who've created public playlists will have a section on their channels where their playlists can be viewed and played. Visit any user's channel by navigating to their channel link (such as youtube.com/user/channelname) selecting their channel name on any of their videos or searching for their channel. Select PLAYLISTS from the top menu tabs. Browse through the playlists and select one to play. Playlist thumbnails show a black overlay on the right side of the video thumbnail with the number of videos in the playlist plus a playlist icon. These might appear as suggested/related videos on any video page, in search results and in other places. You can save other users' playlists to your Library by looking for the save button marked by the plus sign menu icon. It will appear on the playlist page (both on YouTub.com and the YouTube app) or you can find it in the top right corner of the gray playlist box when you're playing a playlist on YouTube.com. Can You Make Genius Playlists on iPhone Anymore?